These set-'em-and-forget-'em settings will help keep your Android phone up and running from daybreak to lights-out. No, it’s not you, and there’s nothing wrong with your perpetually about-to-run-out-of-juice Android phone. It’s just that your trusty handset is a battery hog, plain and simple. The slim technological wonder in your pocket is doing dozens of things at once, everything from pinpointing your position and uploading snapshots to downloading app updates and checking for email—and each and every one of those tasks demands power. Dedicated Android users have dozens of options at their disposal to conserve their phone batteries, assuming they have the time and inclination. For example, you can stop random apps that are running in the background, manually sync your Google, Facebook and other accounts, and even disable automatic app updates. But those battery-saving chores demand a fair amount of effort and attention—and let’s face it, we’re busy people here. Instead, I’m going to focus on five set-'em-and-forget-'em settings that’ll help keep your Android phone up and running from daybreak to lights-out. Note: The following tips are for Android devices running on Lollipop, the latest version of Google’s Android operating system. The longer your phone’s jumbo touchscreen display glows, the more juice it’ll consume—and more often than not, it tops the list of battery-hogging features on your handset. Luckily, there are a couple of key settings that can keep your display’s appetite for power in check. If your screen’s brightness slider is cranked up much further than halfway or so, you’re probably draining your battery a lot faster than you need to. First, check the brightness slider for your screen. If it’s cranked up much further than halfway or so, you’re probably draining your battery a lot faster than you need to. Just swipe down from the top edge of the screen with two fingertips to reveal the brightness slider, and dial it down to 50 percent or less (or as low as your eyes can stand). If you’re worried that you won’t be able to see your newly dim screen in bright sunlight, just turn on your phone’s auto-brightness feature—or “adaptive brightness,” as Google calls it. Tap Settings > Display, then toggle on the “Adaptive brightness” setting. Finally, consider turning on a setting that’ll keep your sleeping phone’s screen from lighting up every time a new notification pops up. Yes, you may miss out on a Facebook update or two, but that might be preferable (not to mention less distracting) to the added drain on your phone. Tap Settings > Display, then make sure the “Ambient display” setting is switched off. Even when it’s sitting quietly in your pocket, your Android phone is constantly checking your email, syncing your Google account data, and juggling the activity of all your various background apps. That’s a lot of gears turning every minute of every day, and it all consumes battery power—or at least, it does whenever your handset isn’t plugged into a charger. You can set Battery Saver mode to switch itself on if your phone’s battery is about to flatline. That’s why I’m a fan of Lollipop’s “Battery Saver” mode, which puts your Android phone into a low-power state whenever you need to wring a little extra juice out of your handset’s battery. When Battery Saver mode is on, your phone will stop its obsessive email checking, cease all its vibrating, and keep background data use at an absolute minimum. Your device will feel awfully sluggish whenever Battery Saver mode is on, but at least it won’t be as dead as a doornail. You can turn on Battery Saver mode any time you want, but there’s also a setting that’ll switch it on automatically if your phone’s battery is about to flatline. Sure, you can set your Android phone to work triple-time—using GPS, Wi-Fi and cellular all at once—to determine its exact location, but you’ll pay a premium in terms of battery life. Unless you really need pinpoint location accuracy, you can probably get away with switching your phone’s Location mode to the “battery saving” setting. Unless you really need pinpoint location accuracy, you can probably get away with turning off your phone’s power-hogging GPS sensor and relying on just cellular and nearby Wi-Fi networks to triangulate where you are. To do so, tap Settings > Location > Mode, then tap Battery saving. One of the first things the new Google Photos app will ask you is whether you’d like your snapshots to be automatically backed up online. Tap OK, and Google Photos will start backing up your pictures in the background—and by default, it’ll only do so while you’re connected to a Wi-Fi network. Don’t need Google Photos to back up your snapshots right away? If so, here’s a power-conscious setting you should try. The “Wi-Fi only” setting is a prudent one, especially for those with cellular data caps, and it’ll also spare your battery from grinding that much harder to upload hefty images over a 3G or LTE connection. But unless you’re dead-set on backing up your snapshots the very moment you connect to Wi-Fi, there’s an even more power-conscious setting for Google Photos’ auto-backup feature. Open the app, tap the menu button in the top-left side of the screen, tap Settings > Back up & sync, then enable the “While charging only” setting. I’m a sucker for “live” wallpaper—that is, animated wallpaper images that pulse, shimmy, and otherwise dance across your home and/or lock screen. “Live” wallpaper is nifty, but static wallpaper images are a lot easier on your handset’s battery. 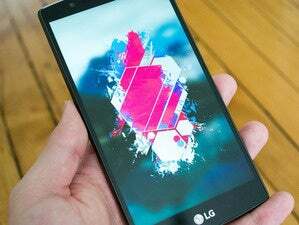 Unfortunately, those eye-popping live wallpaper images put additional—and unnecessary—strain on your handset’s already maxed-out battery. Tap Settings > Display > Wallpaper, and pick a static background image instead. Boring, yes, but your phone’s battery will thank you.